Lange House, which was designed as an ensemble together with Esters House, shows characteristics of both traditional architecture and avant-garde ambitions. 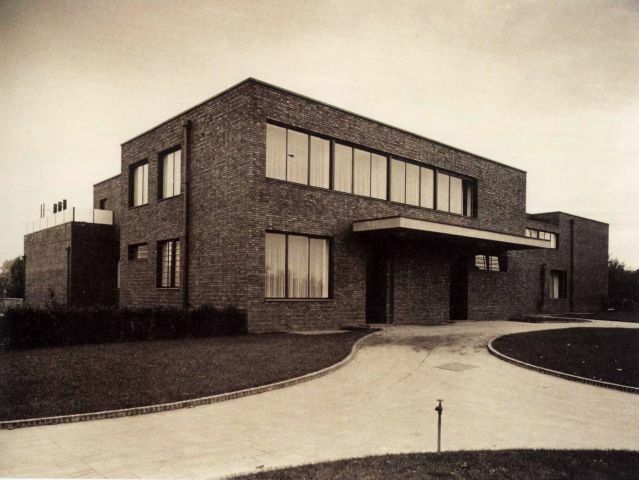 Its brick façades are a reference to the crafts – Mies was a trained mason –, while the fact that the external walls of the cubic structure have been divested of their supportive function through the use of a skeleton structure highlights Mies’s interest in progressive building concepts. It was only the supporting steel structure that facilitated the incorporation in the façade of large windows (some of which can be lowered completely) and the flowing transition between the interior and exterior space, especially on the garden side of the house.